Showing results by author "Fr. Harry J. Gensler SJ PhD"
Explore the great minds who tackled the universe's big questions with Fr. 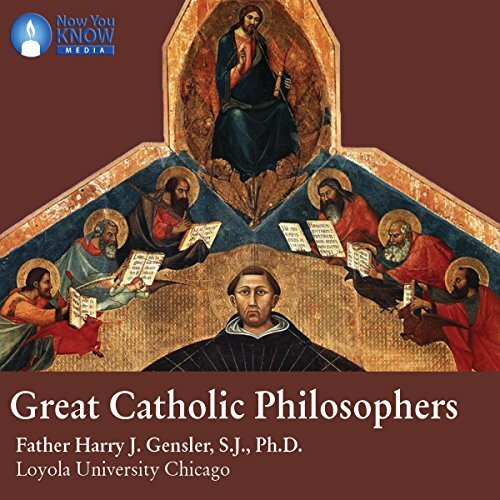 Harry J. Gensler, SJ (PhD, University of Michigan), a leading authority on Catholic philosophy and an award-winning professor of Philosophy at Loyola University Chicago. From antiquity to the Information Age, humankind has grappled with the reality of God, the existence of the soul, and the nature of creation. To ponder these questions is what makes us human. Explore how the greatest thinkers of the Catholic tradition approached these questions.